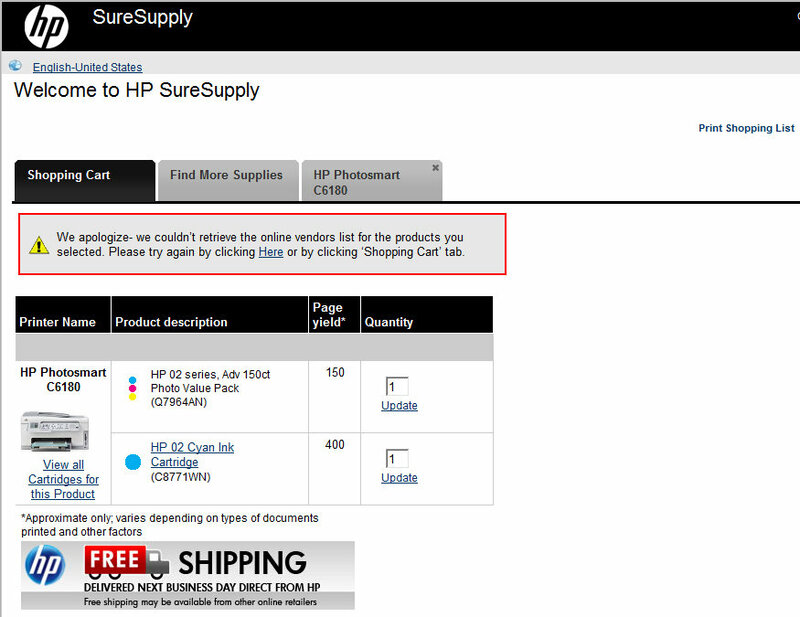 The first HP SureSupply web page that led me here said "Ordering ink and toner has never been so simple, efficient and fast." I disagree. It seems I can't even adjust the quantity of something in my cart without encountering an error.